#4. Drake f/ Jay-Z "Light Up"
Best line: "They always tell me nobody's working as hard as you/And even though I laugh it off, man, it's probably true/Cause while all of my closest friends out partying, I'm just here making all the music that they party to." Complex says: Serving as a nice change of pace from the party records and the more emotional, introspective cuts that dominate Thank Me Later, “Light Up” is a brash take on Drake’s impending success and lack of competition. Jay-Z joins him—spitting one of the best verses of the year—and imparts advice to the young Drizzy. Most times, a Jay verse like that would steal the show and bring the entire album to a standstill (“Free Mason,” anyone?). 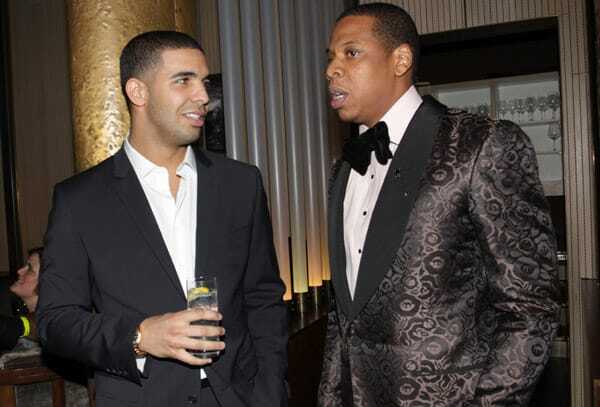 However, Drake's witty wordplay and conviction rendered Jay's co-sign a mere complement to the power and command he had on the acclaimed track with his idol.